Powerful, easy to use, great value. Understand your customers and drive your business. SightMill makes it easy to setup customer feedback surveys using the industry-standard NPS® (Net Promoter Score®) framework. Share feedback with your teams in real-time to react fast to feedback and so improve customer experience. Add NPS surveys to your website or in-app, send surveys via email or by SMS, deliver surveys at a live event, or survey your employees. Create your free trial account and start receiving customer feedback now. Software for your Net Promoter Score needs, gathering feedback via email, SMS, on your website, and at events. Reach your customers effectively using NPS surveys delivered by email, within your website, by SMS, and even at events. You choose how and when to ask for feedback then let SightMill manage the process. Employees: or send eNPS surveys to your employees. 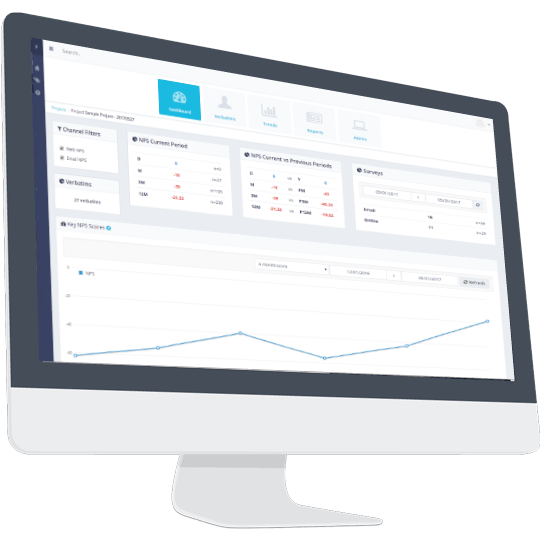 Use our tools to segment your customers to see promoters and detractors of different products, customers with different sales reps, price points and much more. Automatically tag customer comments according to what they say, adding even more depth to your insight. And we automate all these processes to save you time and ensure you focus on changing and improving the customer experience. There's a huge positive impact if you can respond to feedback and address detractor problems in real-time. 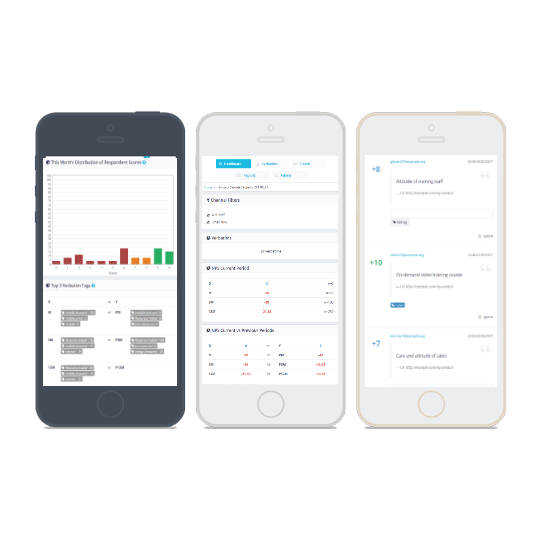 SightMill automatically routes customer feedback to the right teams. Your teams see only the relevant feedback and can act immediately to improve the customer experience. 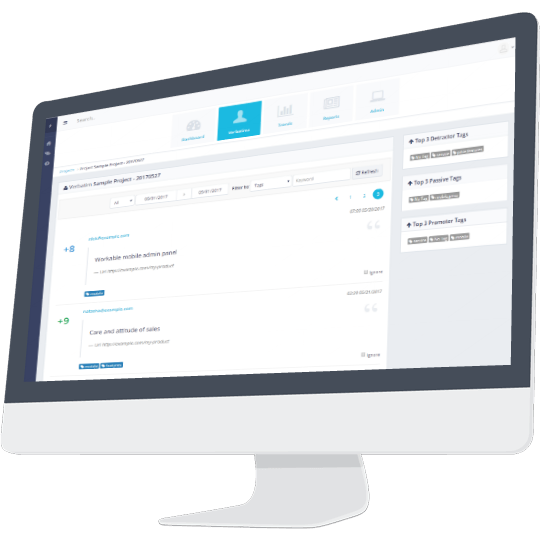 Add NPS surveys to your existing email or CRM system - we integrate with Zendesk, Salesforce, WordPress, Slack, and Zapier (so connecting to 100s of CRMs, email marketing tools, and platforms) to keep you connected. It's really powerful to hear and act on the feedback from our delegates in real-time to make our training experience ever better; the SightMill team has been great at helping us achieve this. SightMill makes it easy for us to listen to our users and provide the best possible experience on Fastcase.com. Loved the links to Slack - our teams know instantly when there's customer feedback for their department. Great to have this level of insight that's really helped improve our market-leading website! Fred Reichheld and Satmetrix Systems, Inc.